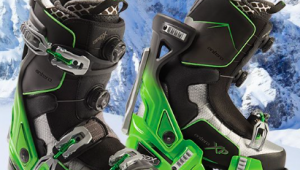 Who Is The Airborne Skier? What’s His Story? Do You Know His Hometown? This week, we made the Mystery Glimpse a little more challenging. Name this high flyer. Tell us about him and (hint) how he met his unfortunate and untimely end. Okay that’s hard. Here’s another one of this celebrated personage. These photos come from the collection of the Tread Of Pioneers Museum, Steamboat Springs, CO. The museum is a not-for-profit historical institution that promotes an understanding and appreciation of the history of the Steamboat Springs area by collecting, preserving, exhibiting, interpreting, and sharing that history and heritage with audiences of all ages and interests. 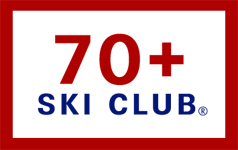 Check out its collection of historic skiing photos. We had at least one correct comment on who these soldiers were, as well as some very close guesses. Those hard-working chaps were German POWs held at Camp Hale, CO. Did you know that from 1943 through 1946, Colorado had 48 Prisoner of War Camps? Out of the many camps, the Army placed several hundred German prisoners of war at Camp Hale, the 10th Mountain Division training facility. Though communication between prisoners and soldiers was officially forbidden, the German prisoners regularly talked with the German sympathizers in the 620th Engineer General Service Company, which arrived at the camp on December 5, 1943. The 200 soldiers who made up this unit were not actually engineers. Like several other army units, the 620th was made up of suspected Nazi sympathizers (mostly Germans) and other opponents of the war. They got along quite well with the POWs, exchanging greetings and illegal gifts. 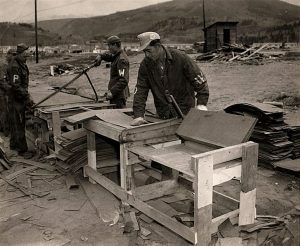 The images show POWs making shingles and stacking lumber at Camp Hale. 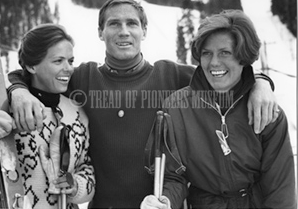 Thanks again to the Colorado Snowsports Museum, Vail, CO, for contributing the photograph from its archives. You can virtually visit the museum by clicking here. I believe that is Buddy Werner, who was from Steamboat Springs, Colorado and was the first non-European to win the Hahnenkamm downhill race in Austria (1959). He unfortunately was killed by an avalanche while skiing near St. Moritz (1964). Died in an avalanche with his fiancée while filming a Willie Bogner Jr ski movie in the Alps near St Moritz. Bogner was charged with disregarding avalanche warnings that led to their deaths. I remember being both shocked & sad. Tragic. Is it Buddy Werner? He died in an avalanche in the Alps. Buddy Werner and Barbi Hennenberger who both died in an avalanche in 1964. In my mind you are correct! Vladimir (Spider) Sabich Olympic and Pro ski racer, shot down before his time. California golden boy skier, home town Scaramento. 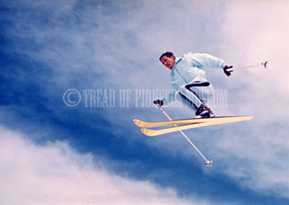 I also thought Buddy Werner, but I didn’t realize Head Skis came with yellow bases before his death in ’64. Yes, he was from Steamboat, now named Mt. Werner. Buddy Warner,died filming for Willie Bogner. It’s Buddy Werner he and Barbi Henneberger were killed In an avalanche near St. Moritz right right after Buddy retired from ski racing.